Tokmanni which today is something of a “Wallmart light”, started in 1989 and changed the name to Tokmanni in 1991. The first stores were established in Eastern Finland. In the 2000s it was decided to expand nationwide, and Tokmanni made significant acquisitions in 2004-2007. The larger acquisitions were Vapaa Valinta, Tajousmaxi, Robinhood and Säästöpörssi, in total about 90 stores were acquired from these four and over 100 stores in total was acquired. In 2008, a new administration and logistics center in Mäntsälä was started, including nationwide distribution of products. This was to oversee the previously decentralized activities. In 2012 PE investor Nordic Capital acquired 88.5% of the shares and Mr Seppo Saastamoinen acquired 11.5%. 2012 was also the year TokNet e-commerce opened. After this a brand harmonization followed, and as of 2016 all the stores and the online shop are known as Tokmanni. 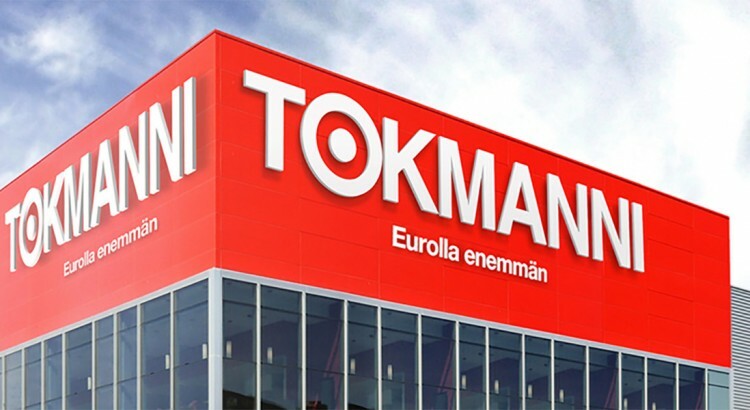 Tokmanni is today the largest general discount retailer in Finland measured by number of stores and revenue, with 163 stores across Finland as at the end of first quarter. The product assortment includes A-brand products from leading manufacturers, Tokmanni’s private label products, licensed brand products and non-branded products. In 2013 Tokmanni entered into a JV with Norwegian listed Europris for sourcing of products from China. The joint venture has resulted in savings across various product categories thanks to both better pricing and scale of orders. Margins are 10-15% better on products sourced this way. + Tokmanni has successfully consolidated smaller players under it’s brand name. Economies of scale together with increased direct sourcing from Asia has the potential to support further margin expansion. + The Finnish market seems to be look more favorably at discount stores (although the stock market is very negative to bricks and mortars). The company is taking market share (still opening new stores) in what has been a tough market (defaults and low profitability among competitors). + Anttila department store bankruptcy in 2016 created short term weakness (store clearance), but should mean long term opportunities (Tokmanni is taking over Anttila empty store space). The store openings will also short term lower profit margins, but is of-course a long term positive. The store indicated to be added in 2017 is 26 000 m^2, which is roughly an increase of 6% of total floor space, much higher than previously, if this is executed successfully, it should give 5-6% revenue growth in 2018. I value this growth opportunity at 30 cents per share in 2018 and possibly more in the coming year. + 70% Dividend pay-out policy, dividend yield 5.89%. + Finland’s economic outlook has been lagging rest of Europe but lately there has been clear improvements, something of a turn-around? An improvement in Finland’s economic outlook would warrant a higher share multiple. – Recent Profit warning for 2017 (Link), revising down guidance. Is this the beginning of a longer term trend? They blame weather (which I hate when companies do, although I can agree that snow in June in Finland is extraordinary). Listening to their latest full conference call after Q1 it sounded like it was not all weather related, but rather that they had not supplied stores efficiently. – CEO was supposed to leave in September 2017, after 8 years at the company. A few days ago he announced that he is leaving early. Not sure how much to read into this, normally it wouldn’t be strange for a CEO to leave after 8 years, but if one wants to speculate, the way he left leaves some question marks. Obviously there is also uncertainty around the new CEO they are now looking for. The company was floated by Nordic Capital and they have now divested the majority ownership in the company, the lack of a new strong majority owner also gives some reason for concern in this regard. – Its sales channels does not sound that modern, one would have hoped some more modern technology, like apps. But they rather have been spending their sales budget on this old style leaflets sent by ordinary mail, with the “weekly discounts”. Probably works well with the older generation, but not really for people below 40. The homepage they have is OK though and maybe their newly hired Business Dev Director Hanna Nikoskelainen can change that. – The share price is not even in a negative trend, but rather in a free fall currently. Who knows when this turns around, one could get hurt (short-term) trying to catch the falling knife. This is off less concern for me though, although I prefer to buy stocks with good long-term momentum. As can be seen below sales (and profits) are highly seasonable, we have just now passed the weak first half year. The company has been growing at ~3% yearly rate (store openings rather than stores selling more), but the latest quarter was a disappointment and now they are warning that Q2 will also be disappointing. The valuation model is highly sensitive to both margins as well as the cost of capital. I believe research firms that get very high DCF values are using a fairly low Cost of capital when discounting the cash-flows. I’m more conservative here with a WACC of 7%. I like that the bear case shows so low downside risk (about -15%), given that we are already in a weak market in Finland and if anything, signals are for improvement. Moderate average future revenue growth at 2.5% per year. An EBIT margin of 6.5% growing to 7% over the coming 5 years. Gives a DCF value of 8.13 EUR per share. Low future revenue growth at 1% per year. An EBIT margin of 6.5% decreasing to 6% over the coming 5 years. Gives a DCF value of 6 EUR per share. 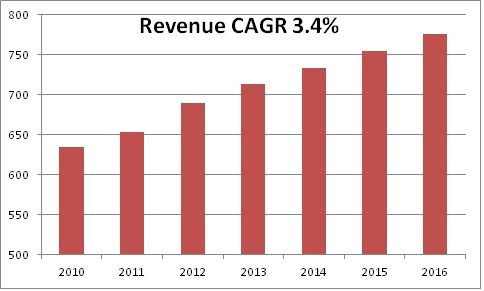 Maintain 3% revenue growth rate over the coming 5 years, thereafter lowered to 2.5% per year. An EBIT margin of 6.5% growing to 8% over the coming 5 years. Gives a DCF value of 12.5 EUR per share. I would not say that this is my strongest buy case ever, but I like being contrarian and do believe you have to be contrarian to generate alpha. Or if you are not contrarian, at least you have to identify the new trends before everyone else. I think this is a stable business, which is just experiencing a bit of a soft patch and turbulence currently, which will have passed before year end. Indicators in Finland are improving (Consumer Confidence) and the bankruptcy of Anttila is actually an extra boost in long term revenue growth for Tokmanni. I also like the very healthy dividend yield. All in all the probability of outcomes seems skewed to the upside, I put a medium-term target price of 9 EUR and will re-evaluate the case when/if it is reached. I initiate a 4% position.